The mission of this Association shall be to encourage the art of quilting and to promote fine and useful quilting in an atmosphere of friendliness and sharing among people; to promote public interest in America’s oldest folk art form; to encourage quilt making and collection; to contribute to the growth and preservation of quilting techniques through education and instruction; to maintain a current and active quilt library; to present qualified speakers and demonstrations; to promote seminars and other quilt-related events; to use funds earned by this group for the benefit of its members in achieving the above stated purposes; to contribute up to 5% of the previous year’s profits from the annual Quilt Faire to any philanthropic or scholarship programs with which the membership is in agreement. Education of IHQ members is a major element of our charter and mission. Trunk shows and workshops will provide new ideas and techniques. Member-taught classes will continue to be diverse and exciting. Particular emphasis will be given to the many requests for basic quilting classes. 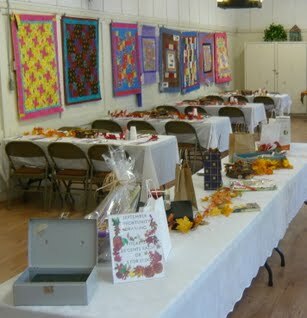 We will continue to present the design challenge, a special display at our annual Quilt Faire. Quilt Camp continues to be offered, providing another opportunity to learn new quilting techniques and nurture new and continuing relationships.